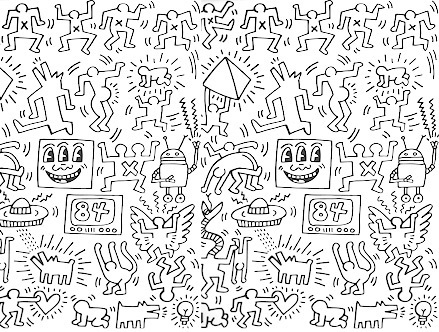 For all Keith Haring fans, discover a new way to spice up your walls with these exclusive 'Symbols' Giant WallTiles. 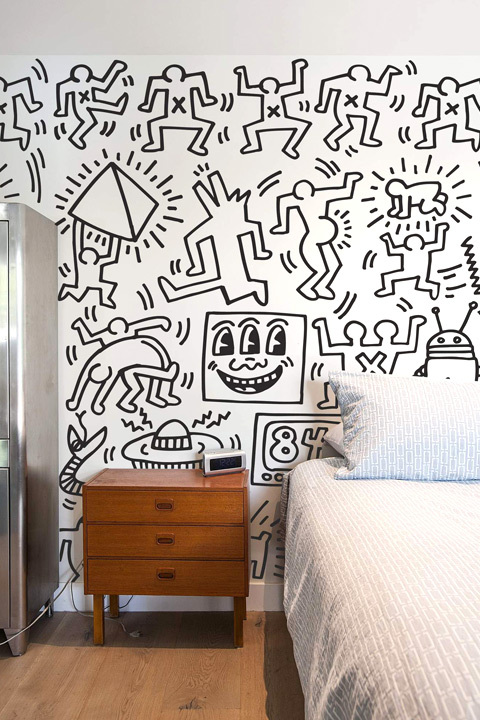 Create you own giant black and white wall with all Keith Haring's most famous characters and icons, straight from the 80s!. 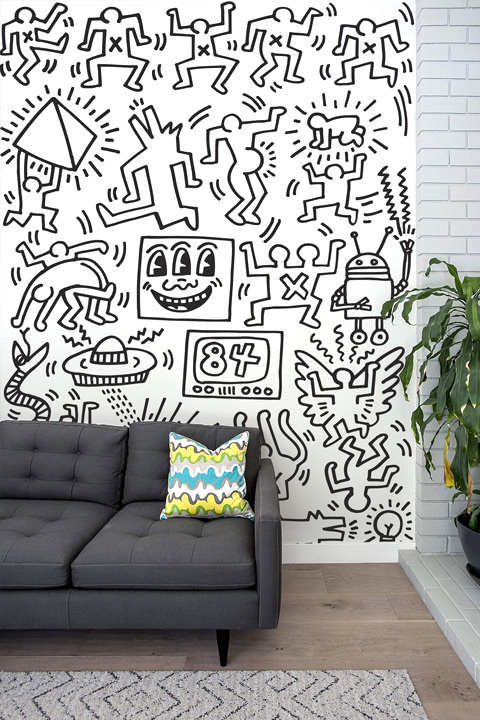 Each Pack will allow you to touch up a wall and create a covering mesuring 2,43m high by 1,80m wide! You can even trim it to your own size and shape, like with wall paper, except you will never have to deal with messy glue, brushes or worktables ever again! 159.00 Stock: Special Order Only. 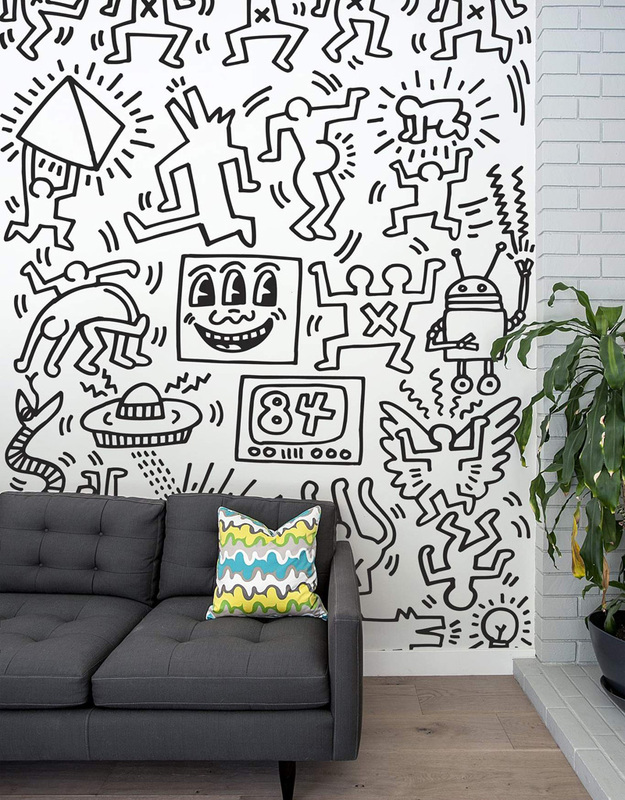 * Compose a wall up to 2,43m high by 1,80m wide! * Covers approx. 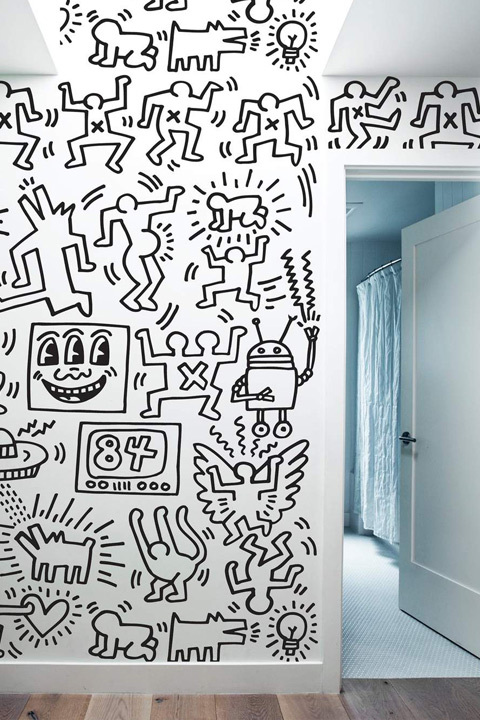 4,37 m2 !